The Isle of Man sits in the Irish Sea between the islands of Great Britain and Ireland. It is known for its rugged coastline, medieval castles, rural landscape and an annual motorcycle race around the island. 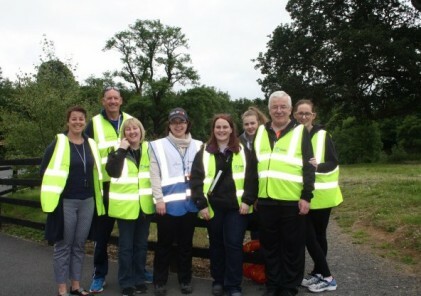 My partner Ali lives on the Isle of Man, and as a veteran of 85 Tilgate parkruns it was frustrating not to have the chance to parkrun on a Saturday morning when I took the chance to move over here and work. And so the challenge commenced, of which there were several. 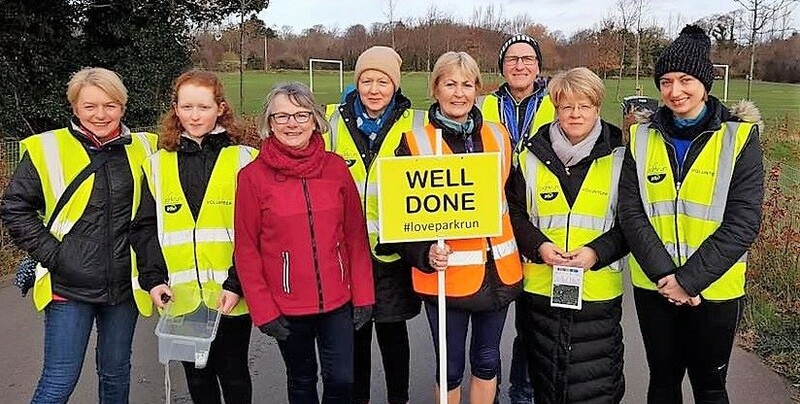 There are many activities on the island, mostly run on a commercial basis, so parkrun didn’t fit the norm. The idea had been mooted in the past but hadn’t gone anywhere, the park was at risk of being charged to use, and insurance had to be verified due to the Isle of Man not being classed as UK. In the end, persistence won the day. Funding came from a small grant application via Manx Lottery Trust and permission was gained from Douglas Borough Council to use the park free of charge. The event takes place in Nobles Park in Douglas, the capital and largest city on the Isle of Man with a population of around 28,000.Nobles Park is a beautiful, well maintained park with plenty of facilities: sports courts, bowling green, children’s playground, a BMX track, a skatepark and toilets. There are also ornamental gardens, a Victorian bandstand and snowmen from time to time! The course itself is two main figure of eight laps completed by a final circuit of the top park area, covering mainly grassed park with some sections of concrete pathways. One of the main reasons we chose this location and route is because as well as being an iconic location on the Isle of Man, it allows us to run every week apart from the fortnight of the annual TT motorcycle race. The idea was well received within the local community. The Manx Lottery Trust were really positive, and a feeder Facebook question on a local page got more than 100 responses within 24 hours. The core team remains small, but we have a good sized and committed team of volunteers. Since the momentum picked up we had several interested residents but two have been our main saviours, Liz Partridge and Lynda Quayle. They both have strong community and running group connections and been there every week, including the test events. The island is small, so we don’t have the same pool of people that mainland events have, but we had over 30% of registered parkrunners at our inaugural during Storm Brian. We now average just under 100 each week with a regular 30% first timers and tourists. My advice to anyone visiting us is to bring your trail shoes – the weather here is uncertain to say the least! Sign our tourist visitors book, take a snap and say hello to the fairies as you cross Fairy Bridge to and from the airport. It’s an ideal venue for parkrun tourists to tick off whilst enjoying this unique environment – why not stay and visit our historic coastline, Laxey wheel, heritage steam railway, horse tram and historic castles? We’re a relatively new event but it is great to see all ages attending, including faster runners, walkers, first-timers, people coming back to running, runners with long term health conditions. To get people up and out for 9am says to me its working, especially as the island isn’t an early starter generally! For me, Nobles parkrun was worth the wait. Almost a year to the day after I moved here we had our inaugural run, I had the chance to wear that blue and white run director vest, introduce 105 wet and cold runners to parkrun, stand alongside 15 other volunteers, then just watch open mouthed as the next hour flew by – it was quite emotional. I had been shown how it should be done by the great team at Tilgate parkrun, and they have my gratitude for setting me on the right track. The Nobles parkrun website is here and you can follow them on Facebook here.